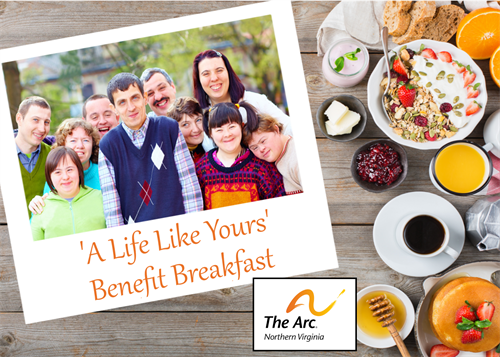 This special morning fundraising event will provide guests the opportunity to learn more about The Arc of Northern Virginia, and hear stories about the people with intellectual and developmental disabilities who have been helped by the organization. During the breakfast program, you will get to hear firsthand from self-advocates who have lived with their disability, and the family members who fight so hard to ensure they can live "A Life Like Yours." These are the families who benefit from the programs and services provided by The Arc of Northern Virginia, and who benefit directly from your generosity. There is no cost to attend the breakfast. However this is a fundraising event, and attendees will be asked to make a contribution to The Arc of Northern Virginia.